Rebecca “Becky” Thomas Sisk, 66, of Rossville, passed away on Thursday, March 21, 2019. She was a lifelong resident of the North Georgia area. Becky was a loving wife, mother, grandmother, sister, aunt and friend, who will be dearly missed by all who knew her. She was preceded in death by her husband, William Stanley Sisk; parents, J. W. and Hattie Jean Thomas; and son, Wendell E. Sisk. 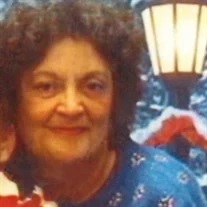 Becky is survived by her grandson and his wife, Wendell and Jessica Sisk; brother and sister-in-law, Jimmy and Sherry Thomas; niece, Tammy McNabb; and great-grandson, Westan Sisk. The funeral service will be held at 2 p.m. on Monday, March 25 in the funeral home chapel, with Debbie Widener officiating. Interment will follow in Tennessee-Georgia Memorial Park. The family will receive friends from noon-6 p.m. on Sunday, March 24 and 11 a.m.-2 p.m. prior to the service on Monday.